Abu Dhabi, 3 May, 2016 - Insurance House P.S.C (IH) organized a Blood Donation Day at its head office in Abu Dhabi. 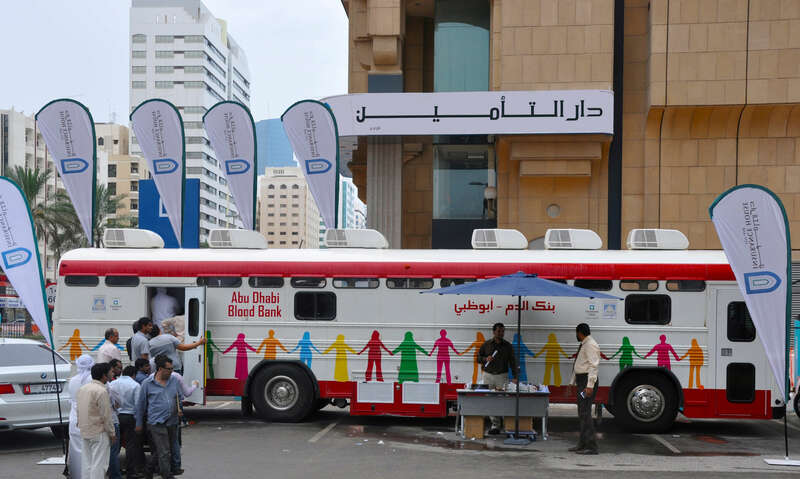 The campaign took place in collaboration with Abu Dhabi Blood Bank under the supervision of Sheikh Khalifa Medical City which provided the bank units. The blood donation drive is initiated by IH in response to the increasing need for medical emergency cases and blood disorders such as blood cancer, thalassemia, sickle cell, and anemia. “This year’s drive was an absolute success with noticeable participation of IH employees, customers and members of the public who participated in the blood donation. As an insurance company, we remain committed to playing an active role in supporting our broader community in the UAE and helping those in need,” concluded Farran. Since its inception, Insurance House has classified CSR as one of its core operations. This strategy derives from the Company’s vision of playing a dynamic role in the society in which it operates and ensuring a healthier life for its members.